You can never have too many assertive axes in the arsenal, right? 😈 Set your sights on these nine new signature models that are just as ferocious as the artists who inspired them. 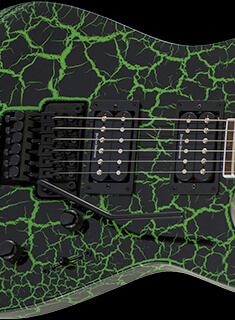 One of most well-respected shredders in metal, Jackson is honored to now have Jeff Loomis as a signature artist. The sandblasted ash top and Black finish of his all-new USA Signature Jeff Loomis Kelly™ give this metal machine a cutting-edge look, while Seymour Duncan® Jeff Loomis Signature Blackouts humbucking pickups deliver a dynamic searing attack even under the heaviest distortion. This model is loaded with other premium features including Luminlay® side dots, Sperzel® die-cast tuners and a Floyd Rose® 1500 double-locking tremolo system. 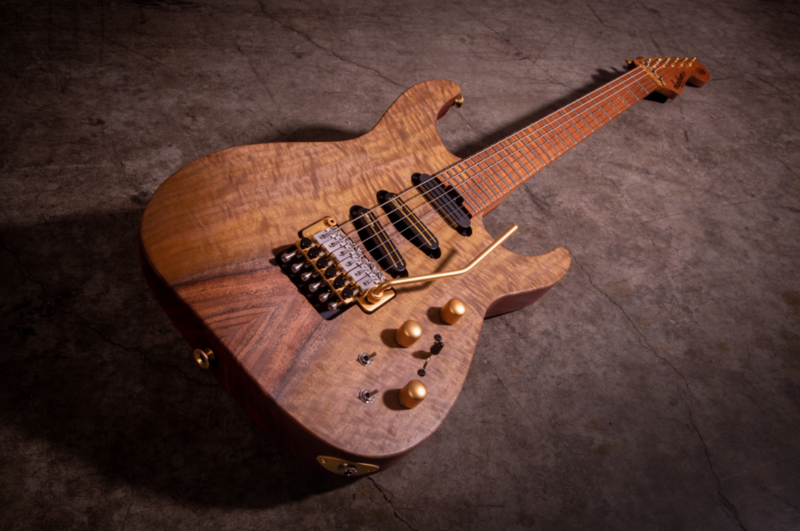 Collen’s knack for selecting exotic woods continues with this limited edition PC1 axe. The mahogany body is complete with an exquisite Claro Walnut top with a Natural stain finish and gold hardware. Atop the two-piece bolt-on quartersawn caramelized flame maple neck sits a caramelized flame maple fingerboard with 24 jumbo stainless steel frets. The S/S/S configuration of this beautiful behemoth features a custom DiMarzio® DP427 bridge pickup and custom DiMarzio Fast Track 1™ middle pickup for thick, boosted tones with big lows and fat highs and a PC1 Sustainer Driver neck pickup for infinite sustain. The Floyd Rose Original double-locking trem features titanium saddles that can take anything and everything you throw at it. Davidson stuck with a raw wood look on his latest signature axe but for this go-around, he went from a dark and menacing vibe to refined and elegant. This assertive and angular 7-string axe features a caramelized ash body in a Natural stained finish that really shows off its gorgeous wood grain. The three-piece through-body caramelized maple neck was designed to withstand the rigors and ravages of life on the road, while its 12”-16” compound radius caramelized maple fingerboard hosts 24 jumbo frets for highly technical fretwork at Mach speed. The Revocation frontman loaded his signature Imperium™ 7 pickups in this natural beauty for the ultimate dynamic tone and punchy clarity even when put under the heaviest distortion. Other key features include the Floyd Rose Original trem system, Hipshot® Griplock open-gear tuners, Luminlay® side dots and black hardware. 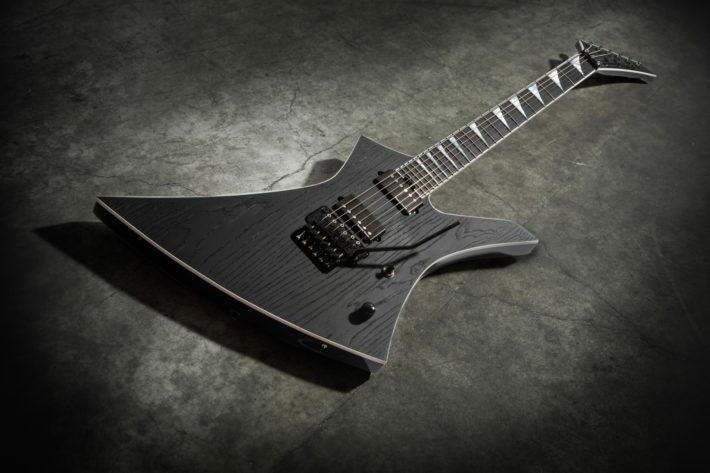 The offset shape of the Pro Series Signature Phil Demmel Demmelition Fury is an assertive new endeavor for Jackson. Both the Fury PD and Fury PDT are armed to the teeth with brutal EMG® 81 and 60 humbucking pickups that put out intensely thick mids, big lows and soaring leads that cut through the densest mix. Wail all you want on the Fury PD with the Floyd Rose® Special double-locking trem and look slick as hell doing it with a Red Tide Fade finish and black hardware. Sporting a sharp Snow White finish with black pickguard and hardware, the Pro Series Signature Phil Demmel Fury PDT subs out a Jackson TOM-style adjustable string-through-body bridge for even richer sustain. 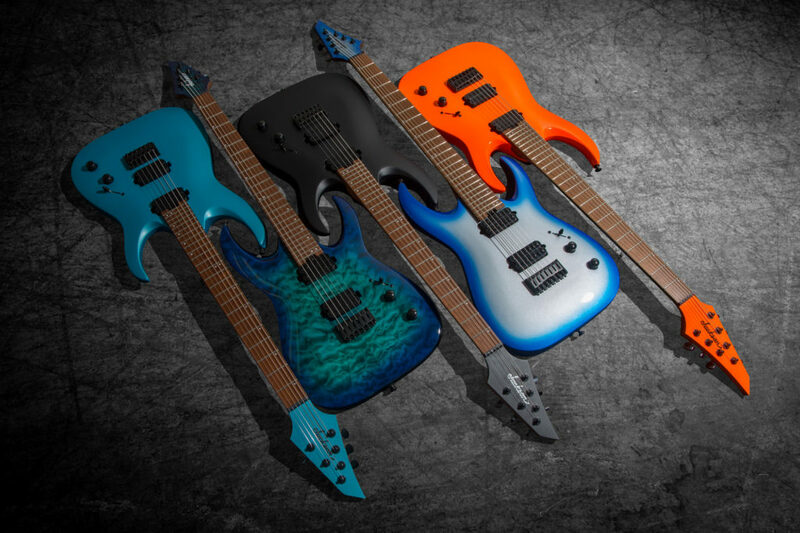 Djent mastermind Misha Mansoor knows a thing or two about what makes a pummeling instrument, and new for 2019, he turned his mind to a refresh of his Pro Series Juggernaut lineup with the HT6, HT6QM and HT7. 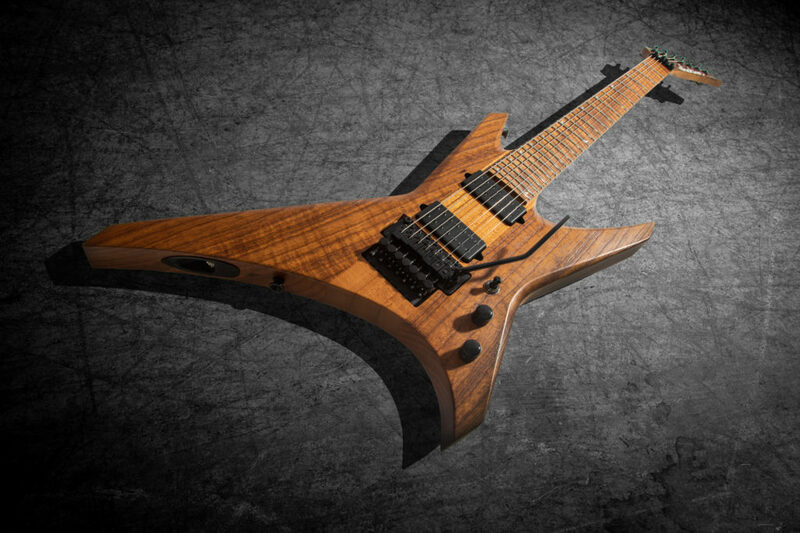 The Pro Series Signature Misha Mansoor Juggernaut HT6 features a basswood body with unique deep cutaways that maximize upper fret access for seamless soloing. The bolt-on one-piece caramelized maple neck hosts a caramelized 20″ flat radius. Aside from its stylish appeal, roasting the maple neck and fingerboard increases the wood’s resilience to warping under continuous heavy use and creates a snappier tone. Under the hood, all Juggernaut models are packed with uncovered direct mount Jackson MM1 pickups for pristine note separation and punch. 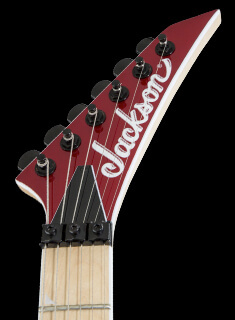 A Jackson HT6 string-through-body hardtail bridge maximizes sustain while keeping you in tune riff after riff. 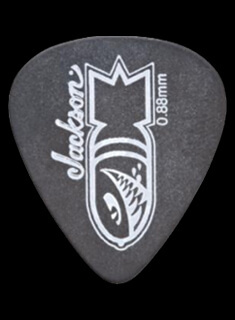 The HT6 comes in Mansoor’s all-time favorite finish — Matte Blue Frost, a color he diligently worked with Jackson to get “just right and is super proud of.” But for those looking for something a bit more sinister, Satin Black is your ticket. The Pro Series Signature Misha Mansoor Juggernaut HT6QM is loaded with all the same ruthless features as the HT6 but features a quilt maple top finished off in a Chlorine Burst finish. 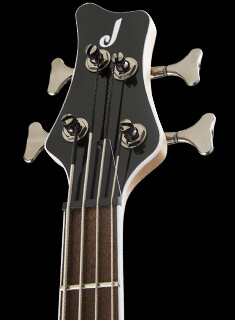 All 6-string Pro Juggernauts offer a reverse matching AT-1 headstock and black hardware. The Pro Series Signature Misha Mansoor Juggernaut HT7 takes high performance to unprecedented heights. The seventh string paired with uncovered direct mount Jackson MM1 pickups expands your tonal versatility with high output and tight, uncluttered response. This 7-string animal is wrapped in either Neon Orange —one of the most shocking colors Misha says you’ll ever see — or in a Blue Sky Burst finish that just has an awesome metallic flair under the lights. 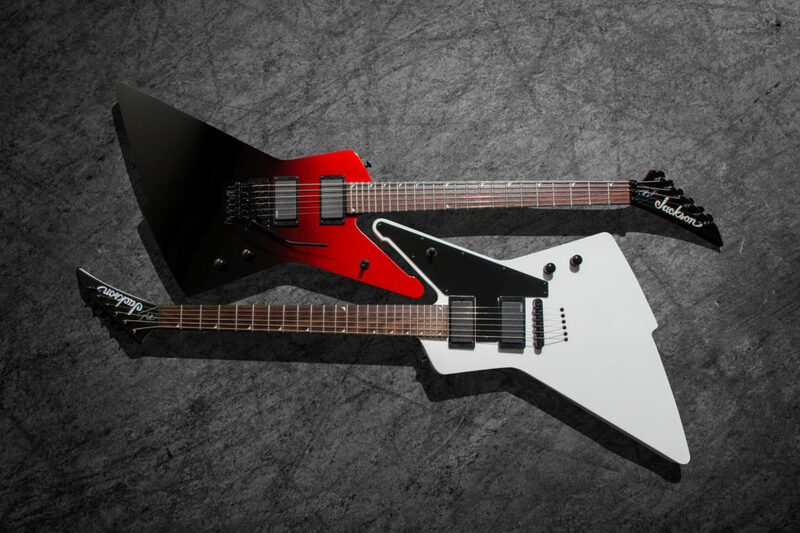 Both colors feature a 4×3 matching headstock and black hardware. 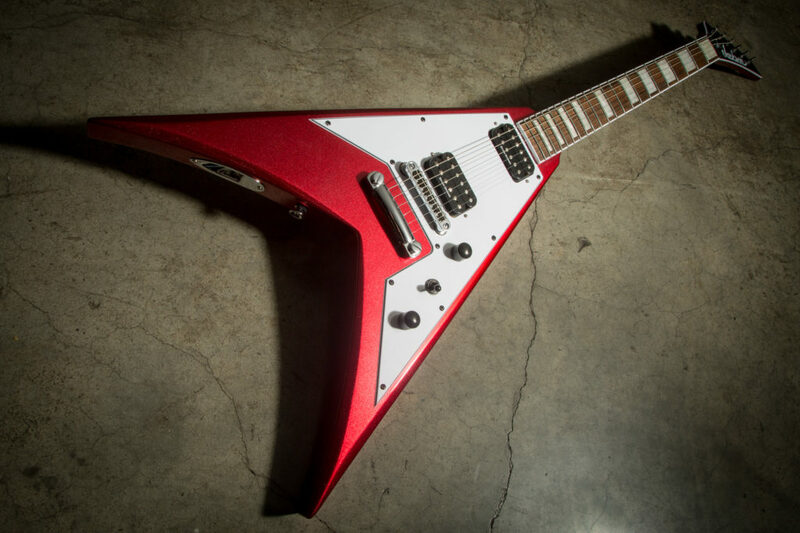 Now available in a kickass Candy Apple Red finish with a 3-ply white/black/white pickguard and chrome hardware, the X Series Signature Scott Ian King V™ KVXT delivers pummeling tone with a pair of Duncan Designed™ humbucking pickups. Other fine features on this affordable axe include mahogany body, one-piece through-body maple neck with graphite reinforcement and scarf joint, 12″-16″ compound radius laurel fingerboard and a TOM-style bridge with anchored tailpiece.